After Thanksgiving weekend in Boulder with my family, I feel the need to lighten up my diet for a few days to allow my body to come back into balance. We had a great time together, cooking, eating, hiking and playing with the baby (the best part). We took Avery on his first hike to Chautauqua Park. Don’t you love those sunglasses on him? It was wonderful eating all the delicious food and wine but it does make me feel a little heavier, not just physically but emotionally too. Rich foods also tend to be acid forming. The good news is we can reduce the acidic build up quickly by returning to a more alkaline diet. Now that I am home again, lightening up the diet for the next few days quickly resets my digestion and rebalances my hormones. I will feel light and radiant once again. This soup is an anti-inflammatory brothy vegetable soup full of healing spices that satisfy your taste buds and restore balance. It contains three powerful ingredients; ginger, turmeric and bone broth. Turmeric contains a compound called curcumin which is a strong anti-inflammatory. Studies have found it to be an excellent compound for fighting all kinds of inflammation including arthritis. Curcumin is also shown to increase cognition. Turmeric can be used to help treat a variety of digestive problems, including digestive tract inflammation and reduction of gas and bloating. Hopefully you took your turkey bones and made a huge pot of bone broth. Bone broth contains alkaline minerals that quickly restore balance. It’s one of the most healing foods for your digestive system. It has been used in traditional cultures for thousands of years as a diet staple. The gelatinous material in bone broth protects and heals the mucosal lining of the digestive tract. It provides key raw materials that help the cells of the digestive system to regenerate. If you don’t eat turkey, the soup can be made with vegetable broth instead. Enjoy the recipe, it will make you feel so good. If you eat this soup as a light dinner your body will come back into balance very quickly. If you are paleo and don’t eat beans leave them out. I don’t eat beans right now and I love this soup without them. A delicious anti-inflammatory brothy vegetable soup. Heat ghee in a large soup pot over medium-low. Add onion, stir. Cook for 5-7 minutes, until the onions begin to brown. Would you like to have more of these delicious healthy recipes sent to you each week? CLICK TO SIGN UP for my weekly email newsletter of recipes and information to eat well and enjoy your wonderful life. 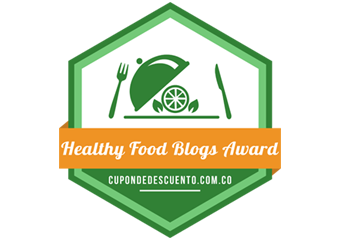 Click on the banner below to vote my blog as one of the best healthy food blogs, thanks. Still need a decent veg broth recipe, all the stocks and broths Ive tried are horrible. Thank you for your fabulous suggestion. I will post a vegetable broth recipe soon. Try freezing you veggies for your veggie stock! It brings out the flavor of the veggies after frozen for a week or so! Great suggestion. I can’t wait to give it a try. Thanks for sharing. Made this for my fiancé as a low alkaline recipe ahead of him starting chemotherapy this week. The recipe was simple and tasty. We enjoyed it very much and will be making it again soon! I glad to know you and your fiance liked the soup. Wishing you both love and vibrant health. It should say broth or water. No water necessary if you use broth. Sorry for the confusion. Thanks for the question. This was by far one of the best soups I have tasted. I LOVED it and it is oh so good for me. Glad you liked it. Thanks for sharing. Have a great day! Best soup ever. Great for the gut. I will be joining your mailing list. What a great find. Love it! I have made this soup several times. I love the contents, the flavors and the way I feel when I eat it. I’m thrilled to hear you love it and most of all it makes you feel good. Thanks for sharing. Came across your site and recipe as I was hunting for a good morning soup. This is absolutely delicious! I omitted beans and used spinach instead of kale, as that is what I had. Cooked in my Instant Pot (saute setting, then 5 minutes on high pressure, 5 minute release, then manual release). Perfection! Ginger and turmeric in the morning feels so good! Thank you for letting us know how you enjoyed the soup. I love your improvisation. Yes soup especially with ginger and turmeric in the morning is the perfect way to start the day. Much love to you. Made this tonight and my husband and I both loved it. We are trying to eat healthier and this fits the bill.!.. I do have a question though… if we use chicken broth are we supposed to use regular or unsalted? Thank you! I thrilled you liked the soup. Thanks for sharing. I always buy unsalted everything. I prefer to use my own Celtic sea salt. It’s better quality than the ones in the broth. The portion size is about 2 cups but rather than thinking about portions I recommend eating until your satisfied. Some days’s you’ll want less and other days more. Listen to your body she’ll tell you how much to eat.